By the numbers: According to the CDC, “stroke is the 5th largest cause of death and is the leading cause of severe disability”. Early medical attention can dramatically change the outcome of a person having stroke, so educating our patients on risk factors and recognizing signs of stroke is essential. Risk Screening: We often review a patient’s medical history. When we see diabetes, high cholesterol, high blood pressure, we probably immediately think heart attack, but these are also risk factors for stroke. Further, low physical activity increases the risk for stroke and heart attack. 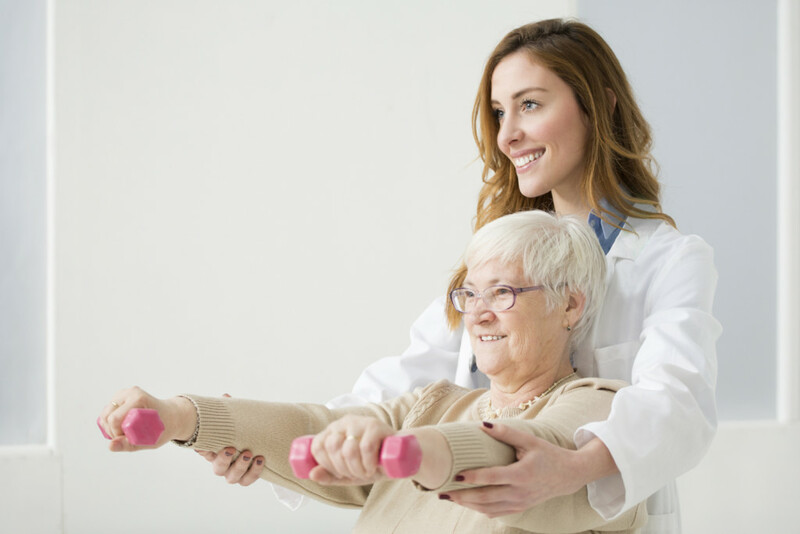 Given that rehabilitation professionals are in the unique position to promote more normal mobility for stroke survivors, but promote health and wellness for the general public to prevent a stroke from happening in the first place. But how do patients know when they are having a stroke? Practice practice practice. Re-learning how to perform a daily task after a stroke takes practice, and lots of it. Our challenge is to find activities and practice that our patients can do safely when we are not with them- and have the activity be interesting for the patient to want to do it. Cue outside the body. There a large body of research on attentional focus instructions and motor performance and learning. Originally pioneered by Gabrielle Wulf, simply comparing instructions to focus externally, on an object or aspect in the environment tends to be more effective than having learners focus on body parts. For example, when a patient is standing on a rocker board, “keep the board level” tends to work better than “keep your feet level”. I use this strategy daily- the latest being with a patient with little to no postural control, even with a front wheeled walker. She would stand, then start drifting to the right with absent righting responses, the wheels of the walker lifting off the ground me holding her up. “Keep all four feet of the walker down” got her to correct her loss of balance and she was able to maintain standing for 40 more seconds. Another example is the patient with a tepid performance of a marching exercise, but put a half foam roller above his knee and instruct him to whack it out of your hands and you will find much more speed and engagement than just asking for three sets of 10. Also, check out my course, “Overcoming Challenges in Stroke Rehab.” Click here to register!